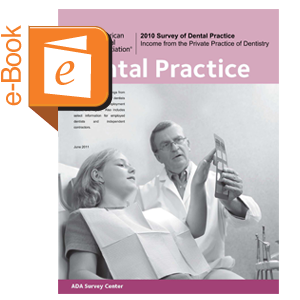 Report analyzes net income and gross billings of independent (owner) dentists by age, hours worked, employment status, and region. Practice expenses are also covered and some analyses of net income for employed dentists. This is a downloadable report, which is also available free of charge to ADA members at www.ada.org/freereports.